Thank you, very much. Good afternoon, everyone. It’s a pleasure to be here. My presentation, in fact, is entitled ‘Early Times of Graphite and Novel Carbons’. But I will also explain, in brief words, how Millie networked in Europe. Millie’s work is a collaboration between two continents and, also, two centuries. 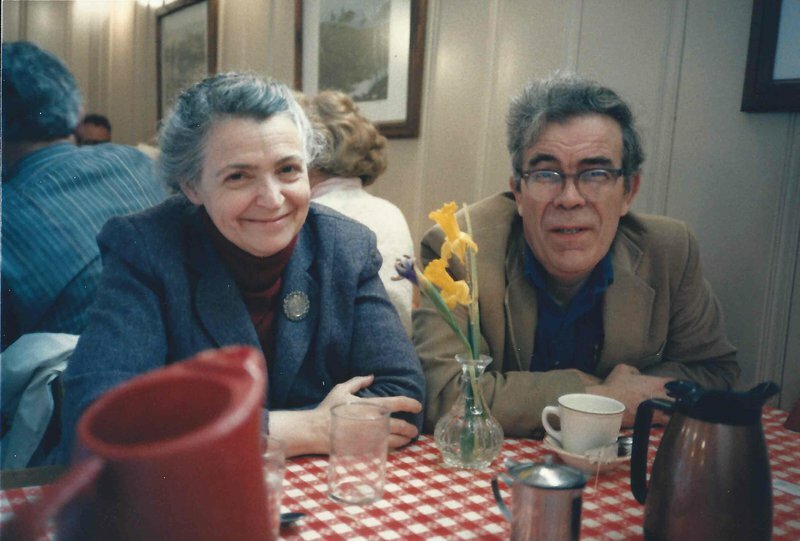 The collaboration between Jean-Paul Issi and Millie started 47 years ago, on a bus in Dallas. They were going to a concert conference by the Symphony Orchestra of Dallas, and they noticed, on the bus, that they were both wearing APS Conference badges. So Millie introduced herself and asked Jean-Paul if he was interested in music. He said he was. They got to talking, and soon found that they were not only had similar tastes in music, they also had similar interests in science. That all started in 1970. So, in fact, they were interested in the same metals, at that time — mostly bismuth, but also, of course, graphite. They were trying to investigate the electronic structure of these materials, mainly by using transport measurements, and also magneto optics measurements. And also, for graphite, the electric band structure was, in fact, a mystery, and they tried to solve this mystery. After that came graphite intercalation compounds. But I will allow Morinubo Endo to speak more about this, later. I met Millie for the first time in 1989. I was investigating weak localized effects in carbon fibers intercalated with fluorine. And then we collaborated a lot on nanostructure, mainly in carbon nanotubes. And, in carbon nanotubes, we mainly investigated electronic properties together and also the effect of double walled, triple walled, and multi-walled on the electronic properties of this system. And then we moved to graphene and to 2D materials. 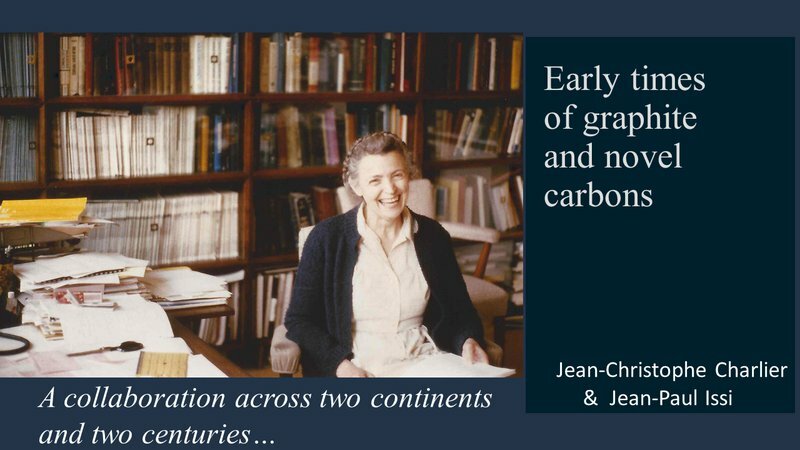 What is not so well-known is that Millie was also a pioneer in the investigation of carbon chains. She'd predict and try to have a specific signature of this carbon chain, mainly by Raman. And now, this carbon chain has been observed by high resolution TM, as you can observe, here. So this will be, probably, the next revolution in carbon. And Millie was, of course, a pioneer in this revolution. 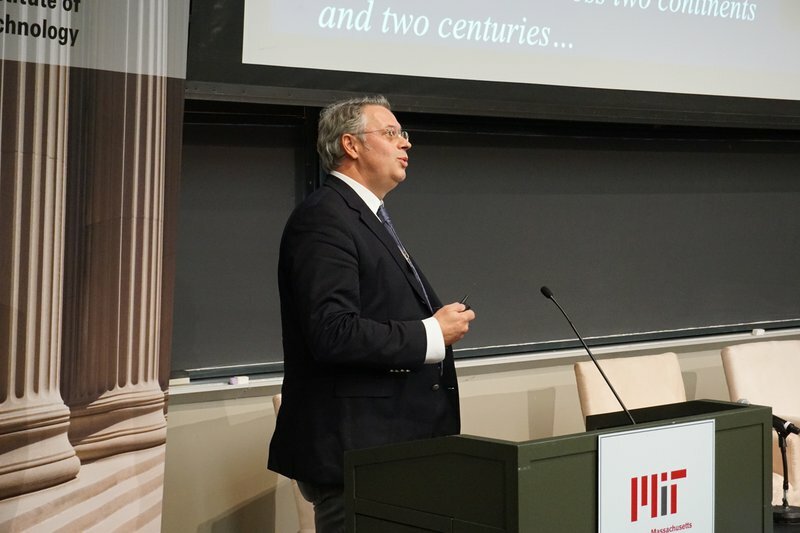 It's a long-term and outstanding collaboration between the group of the University of Louvain, Belgium, and the group, here, at MIT. Millie received an honorary degree for her contribution to the field of thermoelectrics and also her study of the transport properties of graphite intercalation compounds. She received this degree in 1988. Of course, she got many degrees in Europe. And she also received many other prizes, like the prestigious L'Oreal-UNESCO Award in 2007. I feel this award is particularly important because it really encapsulates Millie. It’s an award for women in science, and it was very important to Millie, as you know, that she help women in science. 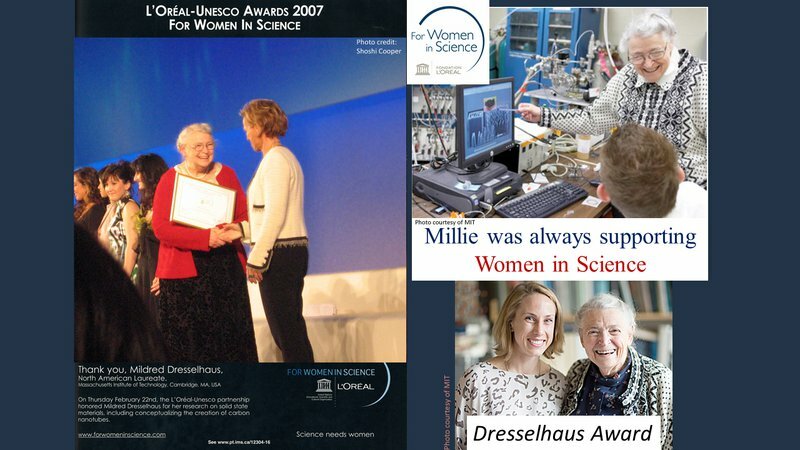 Several young researchers and young professors in Europe got their permanent positions because of brilliant recommendation letters from Millie. And of course, her generosity and her modesty meant that Millie wanted always to share the prizes that she got with friends and scientific collaborators in the field. 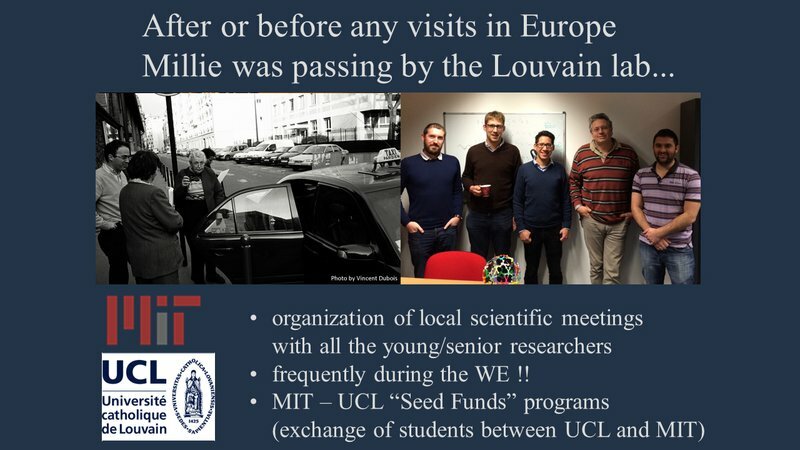 Millie was also attending lots of conferences in Europe, mainly the NT Conferences and also the Graphene Conferences. And during these conferences, in fact, she was asked not only to present her whole result, but she also asked to close the session, so close the conference, by proposing perspective and also a new direction of research, things that she was doing perfectly. She was also coming to Europe for international scientific schools and so on. I don't have time to go into any detail on that. But at the beginning or the end of any of her trips to Europe, she always visited the University of Louvain. We would receive either a phone call or an email from Millie, saying, “Are you available between this event and this event?” And most of the time, it was during the weekend. This meant we had to organize, very urgently, a local scientific meeting with a young researchers and senior researchers — all of whom were extremely proud to explain and to present their results to Millie. To finish, I would like to thank Millie. Because it has been a huge privilege to know her and to work with her. And I will leave you with some advice that Millie would always explain to the younger generation of researchers, internationally.